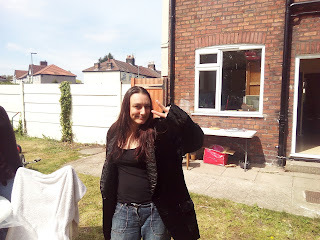 This blog is a continuation of another blog post. Click here to read. 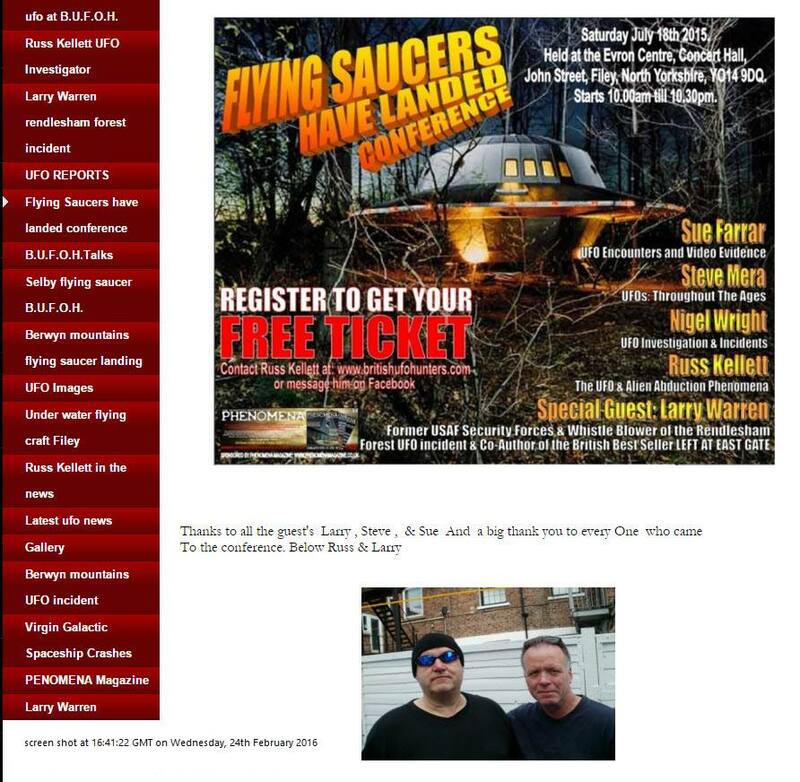 As I questioned in my last blog, how could Larry Warren afford £300 worth of train tickets and being 'conned' out of £400 by us while taking a holiday in Suffolk with his son? He was on £75 a week Job Seekers Allowance. How could he even afford the train tickets? Food? Other travel costs? Accomodation? He stayed at a friends but that was not arranged before he went. He would have had to have enough money for a Bed and Breakfast at least if he had his child with him. So lets guesstimate £1000 that weekend, oh and don't forget the laptop he gifted me and the other one he bought then tried to swap for Daves definitely not stolen, definitely better laptop. Remember.. He was living with us not the other way around. HE was evicted, thats why we took him in. He couldn't afford to move he said. Well he could have moved out that weekend. It was not a priority and he was here for a couple of weeks more and was coming home inebriated and in such a state, to the point of scaring the crap out of me talking about killing someone and being stabbed. I wouldn't let my friend off the phone. He heard it all then thankfully my partner came downstairs. He lived with us for free with promises of reimbursement after the sale of some items. The very items I retrieved from an auction house for him. Larry Warren, John Lennons friend. According to a recent but deleted post, Larry met John in November 1980. A short lived friendship if true. John died just a few weeks later on the 8th of December.. How would Larry know John well enough in that time to have become a family friend and be given a pile of Johns belongings by his uncle Charlie? Also in Left at East Gate (Warren and Robbins) Warren claims to have been awoken by a loud bang just after 4am. Well if we check time zones, that puts that loud bang at the same time John was tragically shot. Likely? He then went off to Liverpool with friends to a public event to pay his respects. No mention of the loss of his friend. When I asked Larry outright one day if he had ever met John. 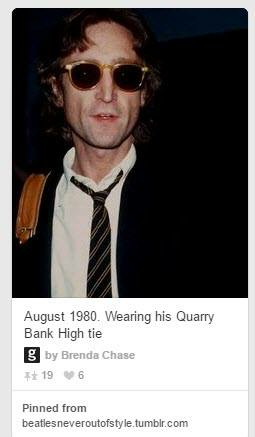 He said no he had never met John Lennon and it was his biggest regret. 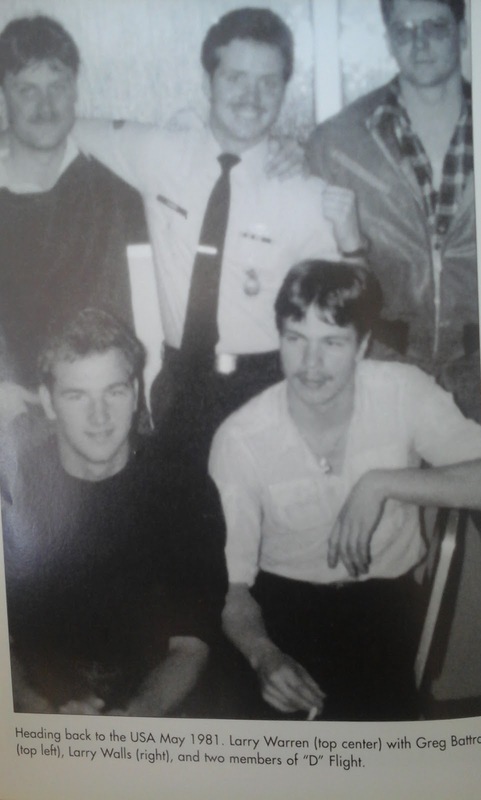 Friends with John when he was a security guard? Bearing in mind John died on the 8th December when Larry was 18 and on base in the UK. 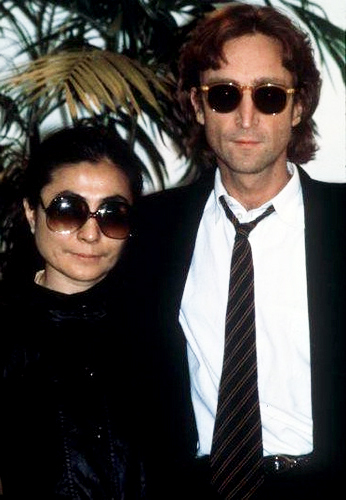 John is wearing black, the shirt is white. Curious. 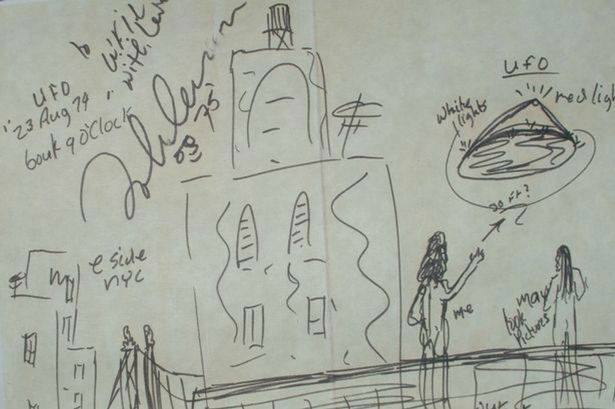 The Sketch Warren claims was given to him by May Pang while they were lovers. 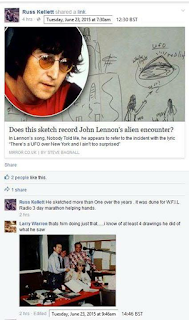 Russ Kellet Buys May Pang sketch from mystery seller for £10,000 first reported in the Welsh online news Outlet. I received this on the 18th August. Link to news source. Steve Bagnall article. Now... Surely if she gave it to Larry during their relationship then she would recognise it and more importantly, know who it came from. 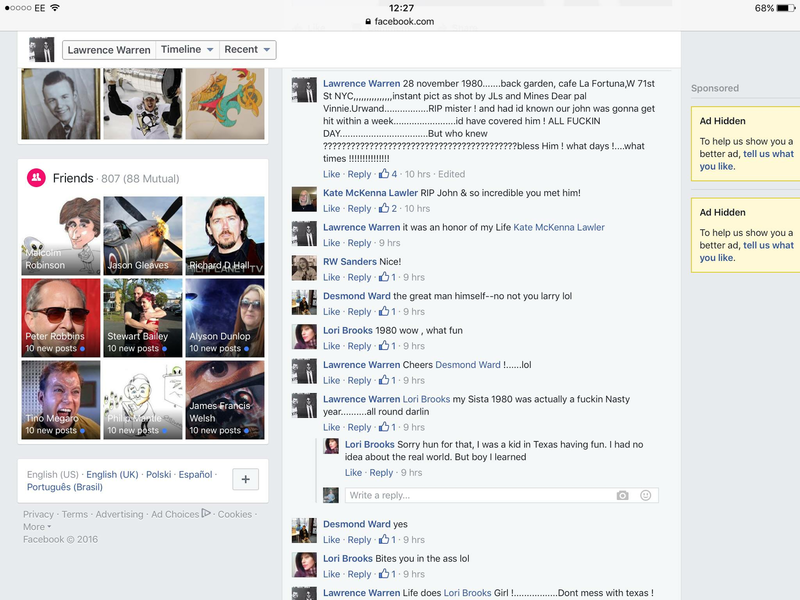 I know he says he met her, wrote an article about it and that she let him look through some things but I highly doubt they were an item as he has told me and my partner amongst other people. Upon reading, it is not Larry's style of writing at all. Did he even write this or just dictate it to someone? 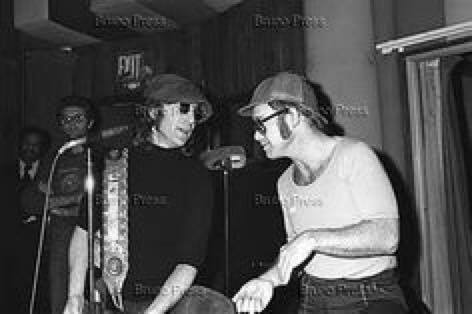 I have photographs of many other items Larry claims to be authentic memorabilia from John Lennon, Andy Warhol, Miles Davies, Jimi Hendrix. I also have a video of Larry opening a box of memorabilia I had returned from him with the help of a friends legal team from an auction house he told me had approached him about a Bob Dylan painting they sold for him which turned out to be fake. In the video he removes a Jimi Hendrix smoking jacket, balls it up and shoved it into a clear zip bag. He treats the Lennon leather jacket in the same manner. 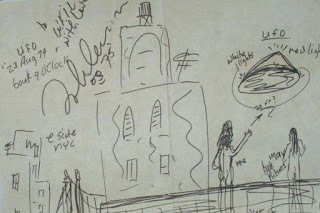 There's a ramones sign that looks about five minutes old, various scribbles and photos. 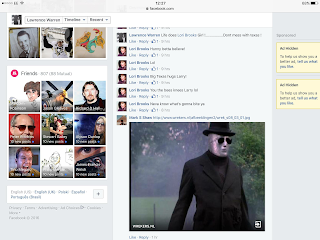 He told me they complained a Bob Dylan painting they sold for him for £8000 was fake. I think that's why he didn't contact them for two years to have his items returned. Items of such rarity and value but they did not sell. 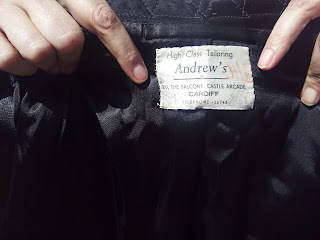 when I told him about the buyer beware law he was quite insistent they were trying to screw them out of his things and wanted to report them to the police, he never did. He explained the previous auction house he used went out of business when the owners went to prison for fraud. One person who had worked for Carousel was the man Warren approached because he knew him. Apparently, according to Larry.. This auctioneer 'bailed just in time'. 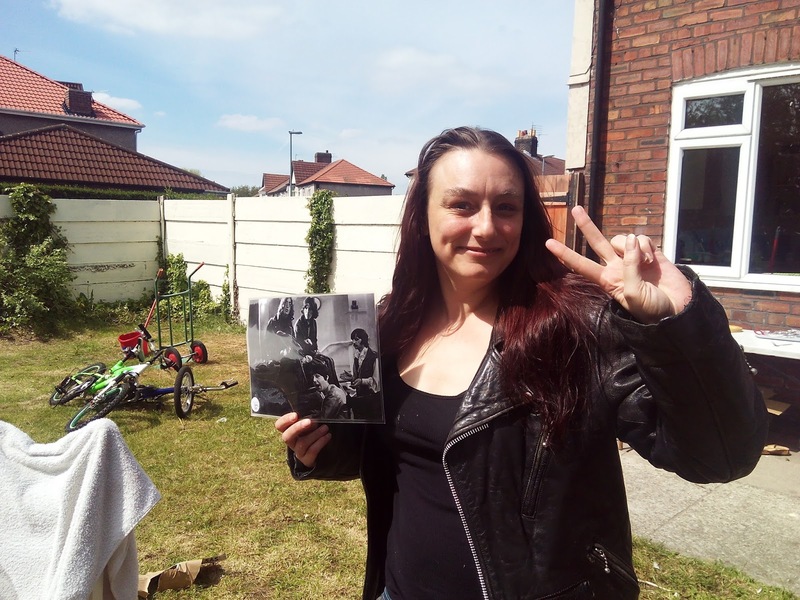 Why would you go to someone who might be so disreputable while refusing to sell to the Beatles Museum right here in Liverpool because "they are crooks" according to him. He then built this story that this dodgy seller had stolen his items and sold them. 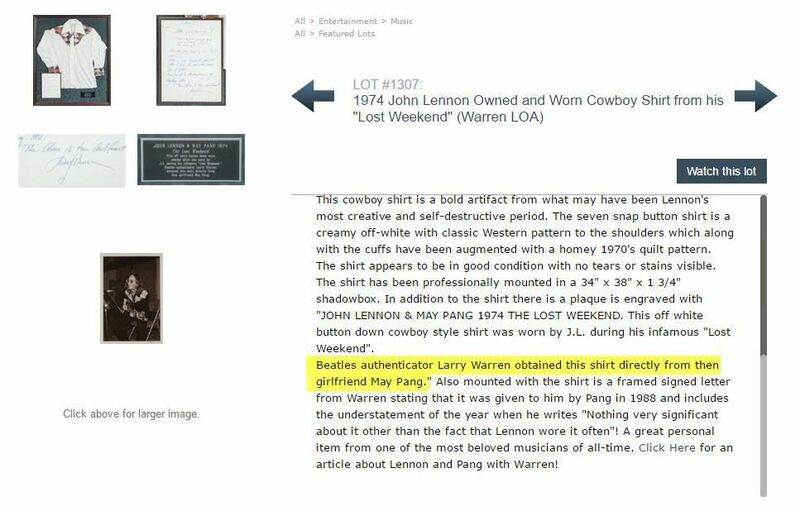 This was definitely not the case and in fact aside from two items listed, they had no idea they had a John Lennon leather jacket worth tens of thousands probably, A Jimi Hendrix jacket worth about 18k. All in all well over £100,000 worth of property if genuine. Left for two years or more with no contact or care? Likely???? Please note address has changed and this property is now a commercial business. Screen shots of opening the box. John Lennons leather jacket as seen worn in this photograph in my hand. The ONLY provenance. Jimmi Hendrix smoking jacket. Label below... Thats THE provenance. A Jimi Jacket for sale.. £10,000-£15,000 .. would you ball that up and shove it into a bag like it was from Poundland? 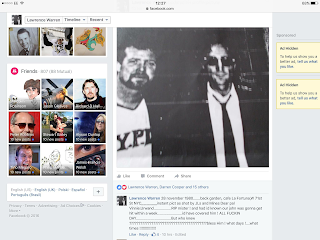 John Died in December 1980. larry recently posted on his facebook page that he met John in November 1980 which is when they became friends according to pic 1. Only... He wasn't available in November 1980 was he because he was in basic training. 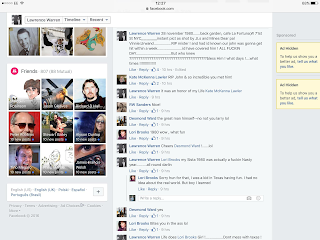 Unfortunately I don't have a screen shot of the wonderful moment, but I am told even his friends were questioning that. Then he claims tp have been in a relationship with May Pang and knew the family so well Johns uncle Charlie gave him a pile of items, that Larry then asked Paul McCartneys blessing to sell them. ERM..? 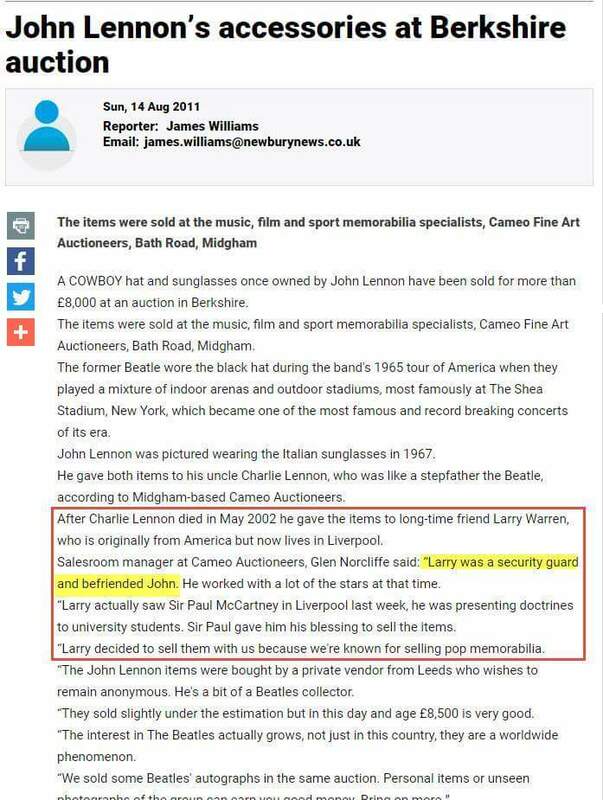 So May Pang Gave Larry treasures of Johns and she doesn't even recognise them. 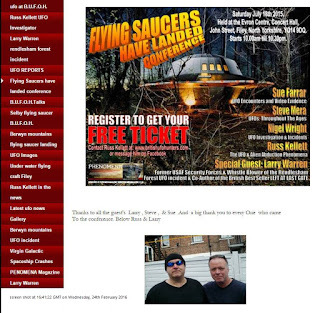 I am sure Paul will not recall any such event and I am sure May Pang will be as confused as the rest of us as to who Larry Warren really is! Looking through the folders on my partners laptop, I found a file of Larrys photos and guess what was there. The only thing missing is a bill of sale. I don't have that. Do I need it? I think the EXIF Data speaks for itself. File created December 2011. 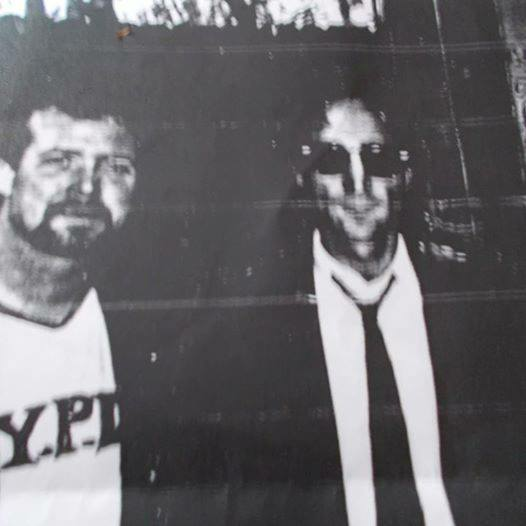 In one article (above) he says Johns Uncle Charlie gave them to him, he says he was a friend of John Lennons when they met when he was a security guard. Here he says he bought them. Warrens book Left at East Gate, co-authored by Peter Robbins, is practically a diary of Warrens life from birth to publication in 1997. Nowhere in that book does it mention any of these people as friends. The fact stands that his alleged friendship with John Lennon is absolutely impossible and his alleged relationship with May Pang highly unlikely. After all, she would recognise her own property would she not?. Other items of concern have been brought to my attention but it has been decided this needs to be handed to the authorities. It seems Larry has gained confidence in his insistence that he was John Lennons friend. 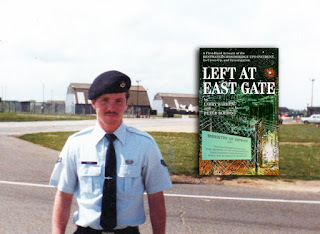 Here is a photograph that Larry insists was taken on the 28th of November 1980 just days before he arrived in the UK to RAF Bentwaters on the 2nd of December. 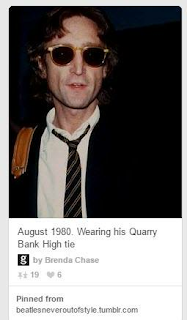 This image below was taken before he got to the UK in December 1980 and the images below were taken shortly afterwards according to Larry Warren. Larry is allegedly 18 years old in the above photo.... 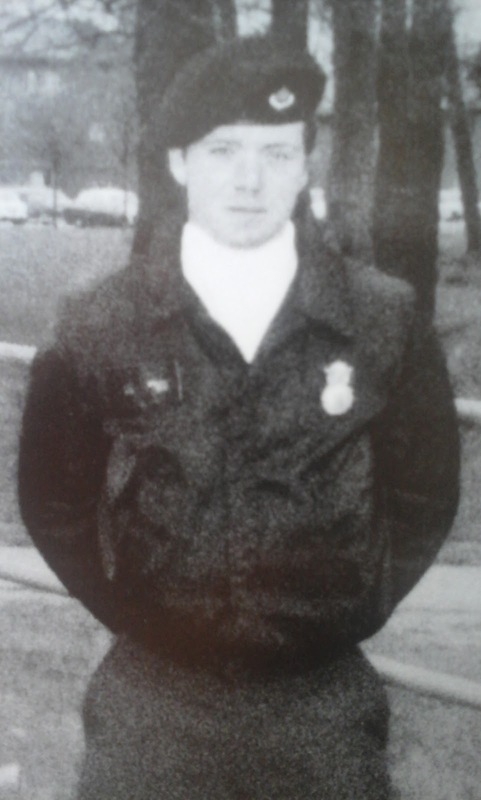 He must have done a Benjamin Button because he looks about 15 in his uniform on Bentwaters. Only... 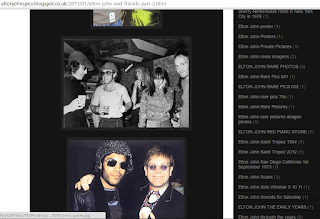 This is one of Elton Johns photographs from his public photo album. Like I said in my last post. Integrity is everything. 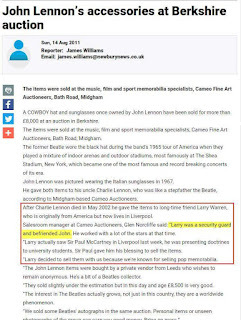 IF Larry Warren manages to successfully write himself into the Beatles story then he would be able to authenticate his own items and sell them for hundreds of thousands of pounds. 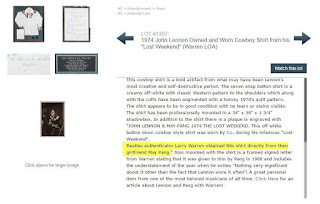 He has other items alleged to be authentic memorabilia from many many stars. No the date of the file created is the date the file was created. The date it was transfered onto the computer is the day it was transfered onto the computer. Then there is the matter of the EXIF info in properties. So.. Your point is what exactly out of the million points made in the blog? You think he looks 19 in that photo? 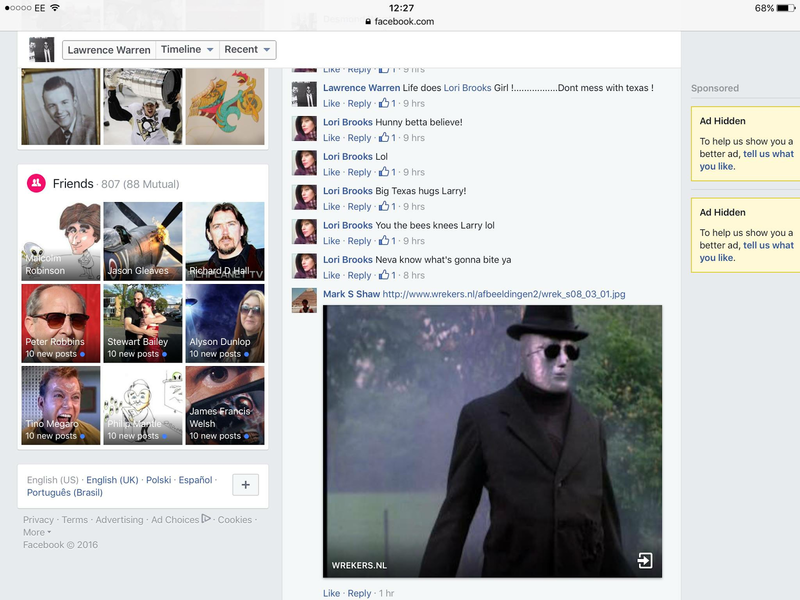 Do you not think there is something very wrong with the fact he created fake photographs of himself and Stevie Ray Vaughan or that he stole his Rendlesham account? No? Just some meep about photos and dates. Well.. Thanks. I am sure thats cleared a lot up for everyone. Thank goodness you turned up and turned it all on its head with that! False alarm everyone! He really must be 19 in the photograph because of whatever smarty pants has said.. I take my hat off to you. What a marvelous mind you have! I feel compelled to award you free reign of the internet for life as a prize. Congratulations! If people want to believe whatever Larry says then you can't stop them. But it should be obvious to anyone that his push to get himself a public persona as a 'friend of the stars' has left him exposed as a fraud. He'd have been better convincing people he was related to Curtis Warren! 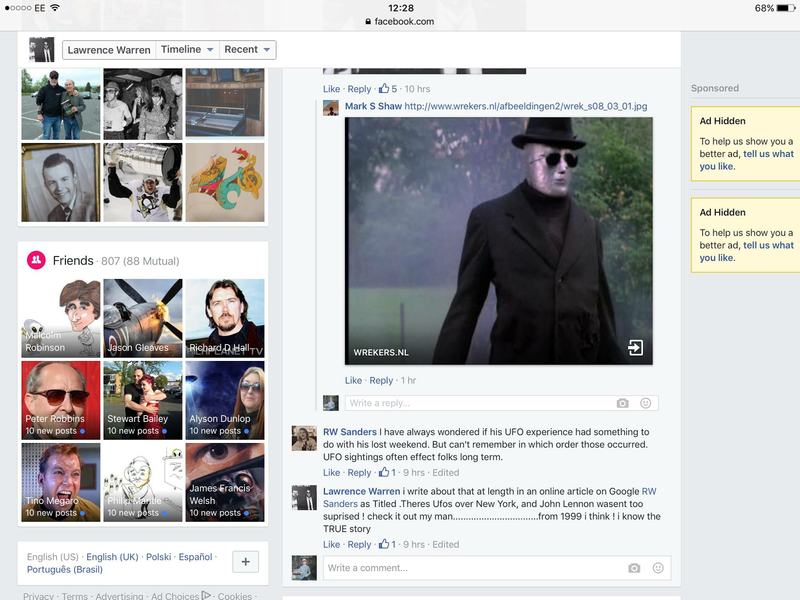 Does this write him out of the Rendlesham story? Whilst it doesn't change major parts of it it seems that he did take Adrian Bustinza's story and run with it. 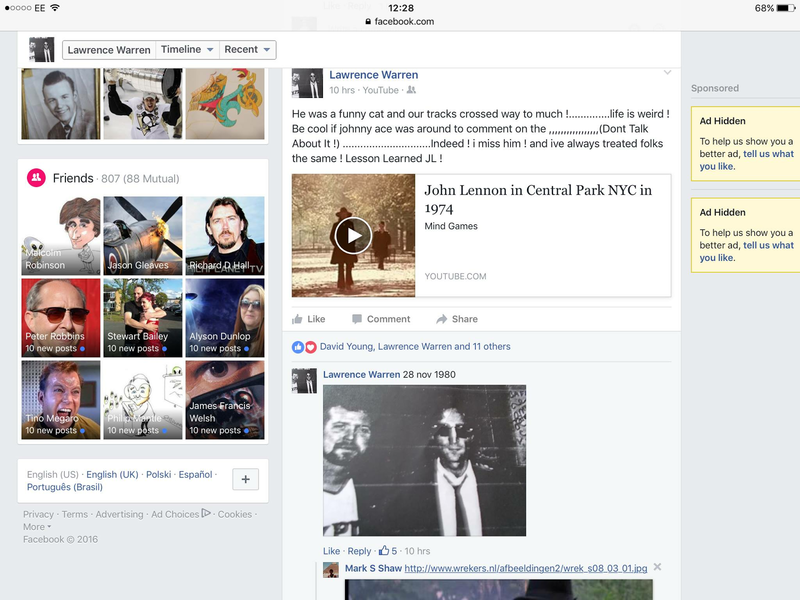 When Adrian spoke on Phenomenon Radio he gave Larry a minor part in his own story. Perhaps because he felt he had to throw Larry a bone of some sort for getting his story out there whilst knowing he was never around that night? Or maybe Larry really was there but out on the periphery as Adrian said. It doesn't matter now. 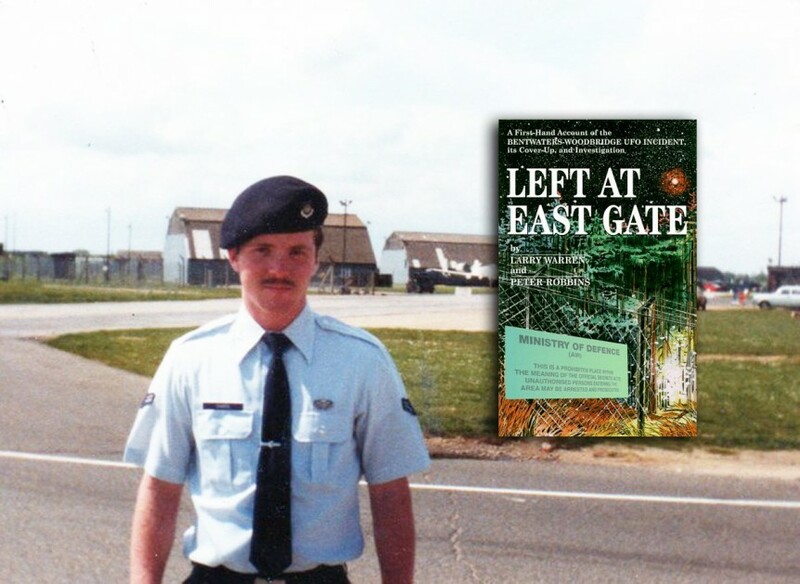 The Rendlesham story rolls on without Larry Warren. He certainly wasn't the first and won't be the last person to try and find their 15 minutes of fame in the UFO world. Good luck! Sorry MM only just saw your comment. Yes I think Adrian threw him a bone because he dare not. He's a good man and doesn't want to destroy lives.. plural.. i.e everyone warren conned all his life.